Properties in Horseshoe Bend City Hall average 4.7 out of 5 stars. Property 3: Wonderful Lake-home on dead end street. Free use of our paddle boat. 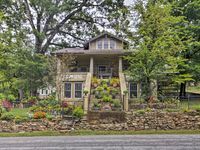 Property 6: Waltz Inn- Hidden Gem in Arkansas! Relax close to the 7 Lakes and 2 Rivers! Property 11: Lake House w/Deck on Crown Lake near Ozark Forest! Property 13: Historic ‘Hardy House’ on Main St. w/ Fire Pit! 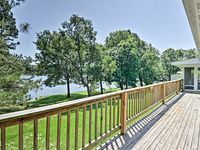 Property 15: LAKE SEQUOYAH LAKEFRONT RENTAL! Property 18: Riverfront, Golf Course Retreat With Pool! Property 20: Waterfront Home on Lake Sherwood w/ Dock & Deck! Property 21: NEW! Hardy Guesthouse Walk to Historic Downtown!